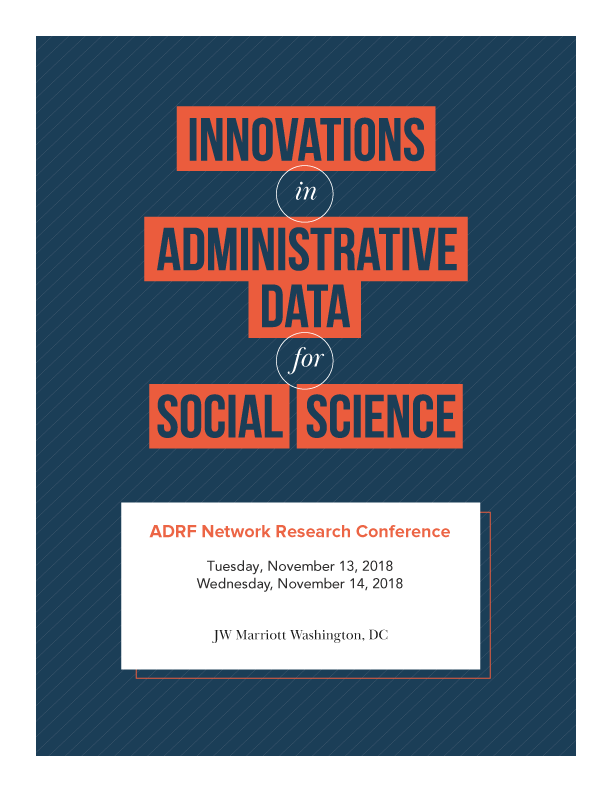 The 2nd annual ADRF Network Research Conference is co-convened by University of Pennsylvania’s Actionable Intelligence for Social Policy and Georgetown University’s Massive Data Institute. Our 2018 conference builds on last year’s successful inaugural event which drew nearly 150 participants from academia, government, the private sector, think tanks, and other organizations to advance administrative data use in social science research. This year, the conference program has been expanded to two full days with the theme innovations in administrative data for social science. Nearly 50 oral presentation abstracts are published in this issue of the IJPDS. The presentations cover a wide range of topics including solutions for overcoming technical, organizational, and methodological challenges in administrative data access and use as well as examples where administrative data have been leveraged for policymaking and decision support across major domain areas. We are also delighted to share that these presentations represent research and advances from 6 different countries. The ADRF Network Research Conference continues to serve as a forum to share groundbreaking work and promote interdisciplinary and cross-sector dialogue that will shape the future of the social sciences. We look forward to growing the conference in upcoming years. International Network for Exchanging Experience on Statistical Handling of Granular Data (INEXDA). Our Economy is Evolving: Shouldn't the Way We Measure It Evolve Too? Long-Term Effects from Early Exposure to Research: Evidence from the NIH "Yellow Berets"